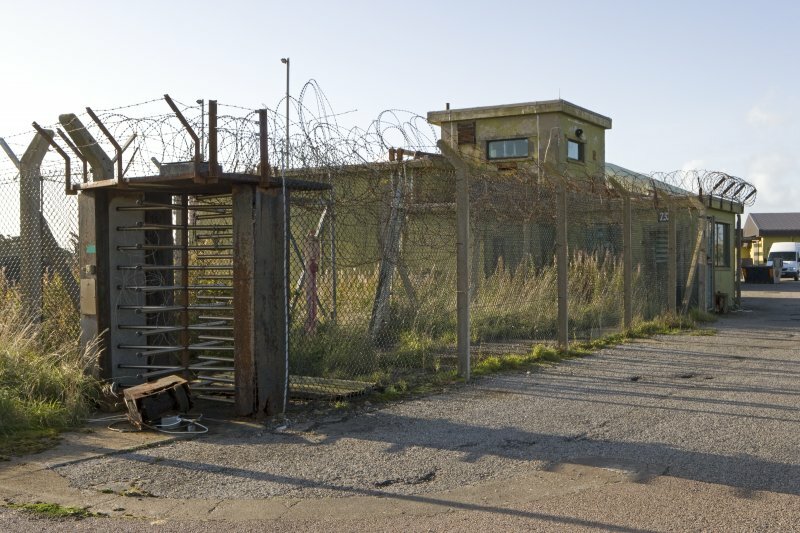 View from NW of maintenance building within nuclear weapon compound. View from WNW of vehicle storeand pump house within nuclear weapon compound. View from SSE of gate house and standby power house within nuclear weapon store compound. 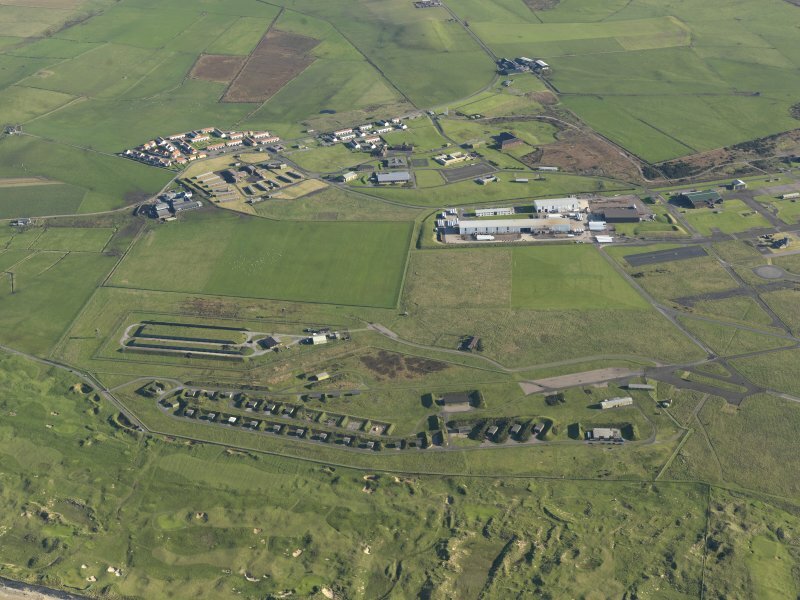 Oblique aerial view of the bomb stores at Machrihanish Airfield, taken from the SW.
View from W of watch tower at perimeter fence of igloos for nuclear mines. General view from NNW showing the row of igloos for nuclear mines. 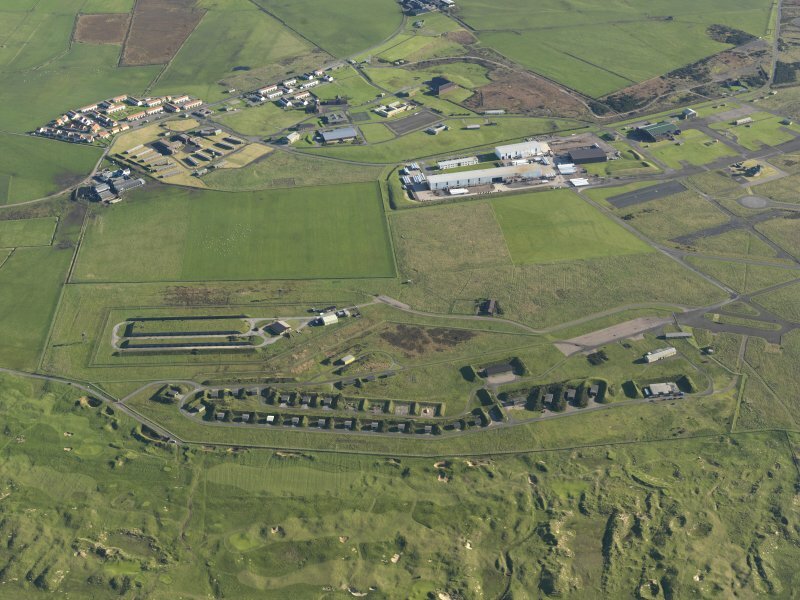 Oblique aerial view of the bomb stores at Machrihanish Airfield, taken from the W.
General view from SSW showing the row of igloos for nuclear mines. 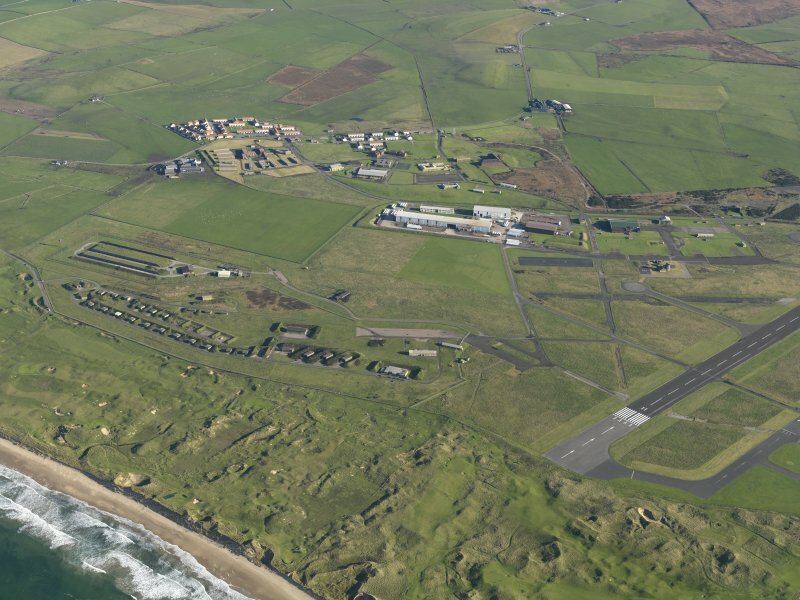 Oblique aerial view of the bomb stores at Machrihanish Airfield, taken from the WNW. 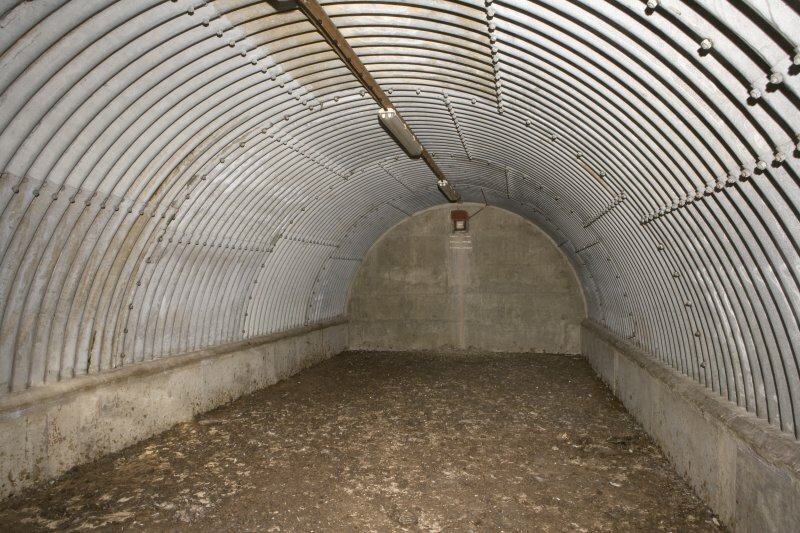 Interior of single igloo for nuclear mine. 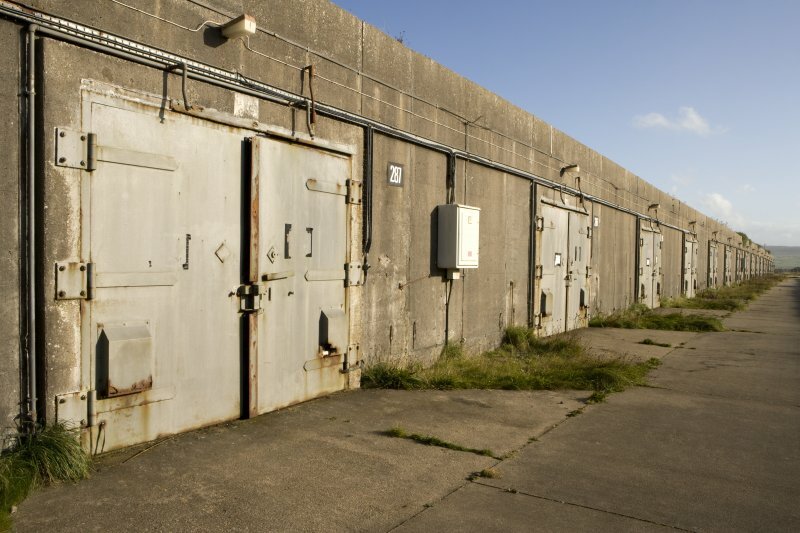 Set within a separate fenced compound are the nuclear bomb (mine) stores situated immediately NE of the NT62SE 28.08. 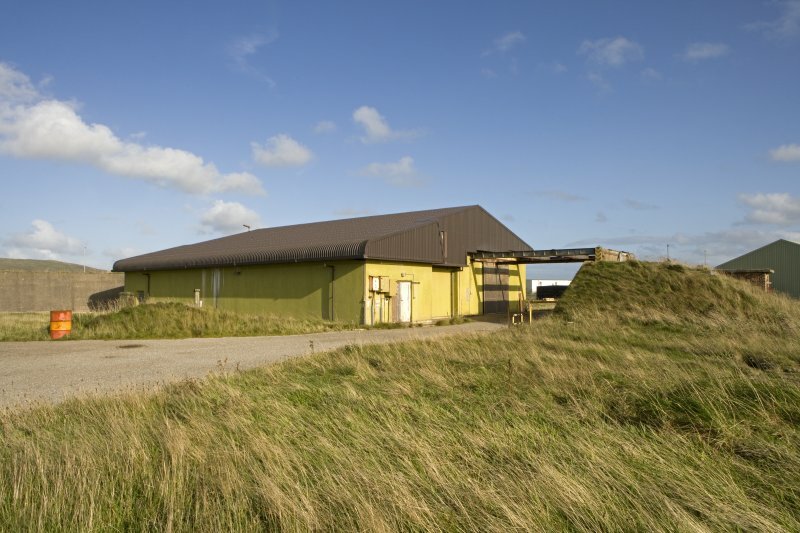 Consisting of three long rows of flat roofed concrete sheds about 161m long. The rows are sub-divided into compartments with air tight doors. 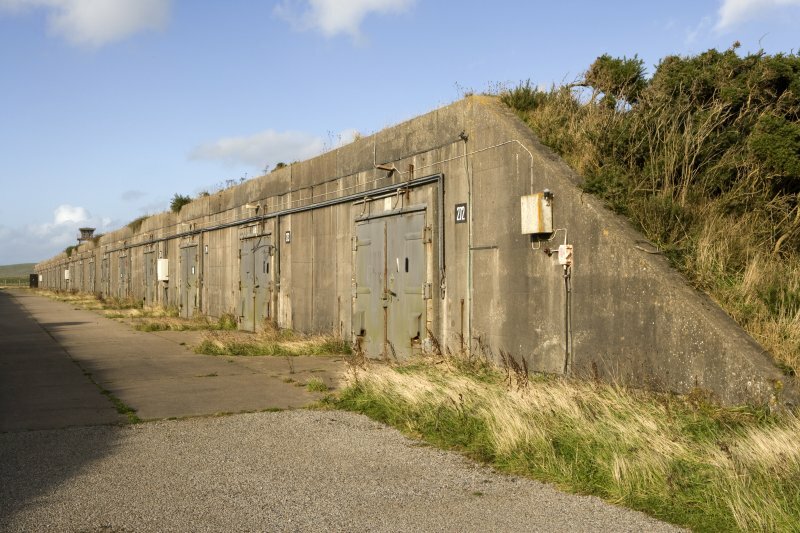 Known as 'igloos' the stores were built for the US military forces to accommodate their nuclear mines. 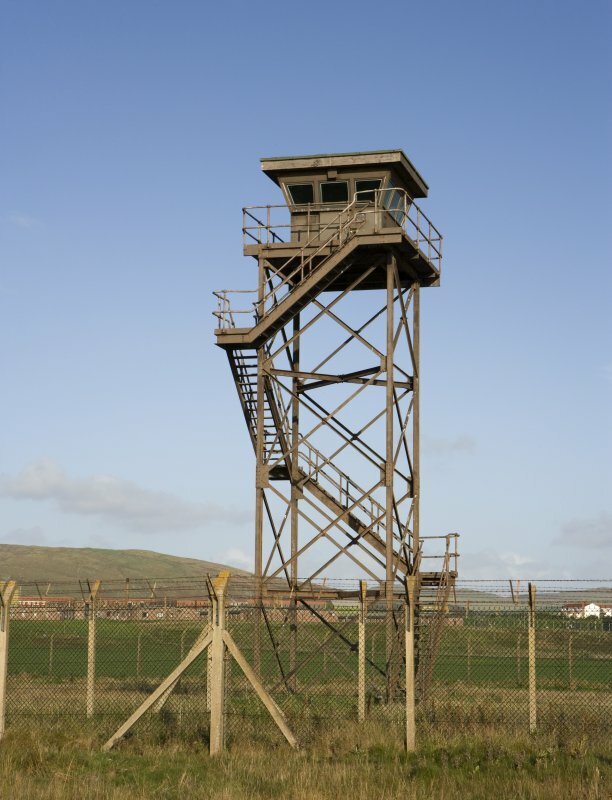 There are two watch towers, one to the E and one to the N adjacent to thsi compound. 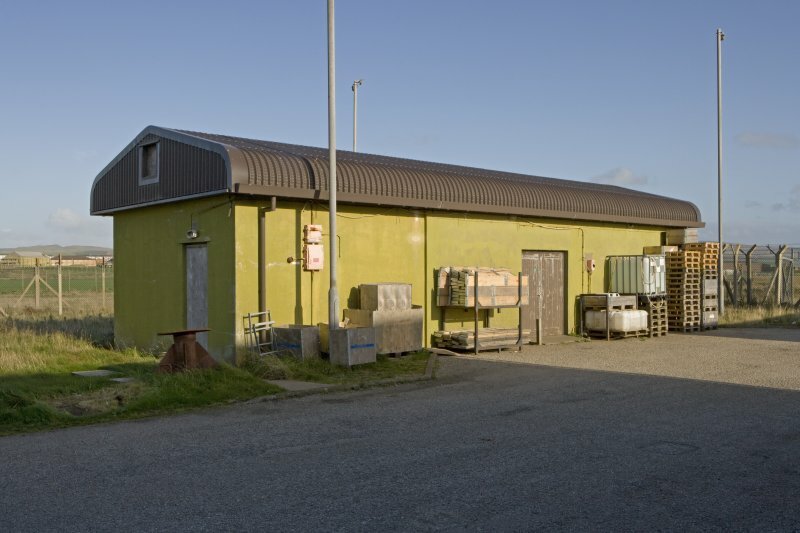 In addition there are several buildings at the S end including gate house, vehicle and other stores. About 205m S is the dog compound.